Individual Donors include: Catherine & George Puzak, Deborah & Ted Conathan, John Wadden & Krisitin Dean, Diane & Garry Kvistad, Michaela Graham, William Denehy, Barbara Brozik, Lynne Gilson & Joel Schuman, Anna Landewe, Susan Murphy & Peter Poccia, Larry Ulfik, James Malchow, Abby Newton, David Wallick, Jolanda Jansen, Bonni Nechmides, John DeNicolo, Shabazz Jackson & Josephine Pagagni, Melissa Higgins, Virginia Dow, Beth Humphrey & Guy Reed, Deborah Conathan, Jane Oriel, Julian Lines, Judy & John Allen, Merle Cosgrove, Wendy Weinrich, Ernie Mortuzans & Jeanne Weiss, Jared Schmidt, Polly Howells, Laura Rock Kopczak, Nathaniel Williams, Niki Swarthout, Ellen Neilly, Susana Meyer, Suzanne Bennet, Susan Holland, Mary Ellen Wadden, Laurie Ross & Shelly Wyant. Business Support: The Woodstock Chimes Fund, Price Chopper’s Golub Foundation, Stewart’s Shops, Central Hudson, Bailey Ceramic Supply , Sawyer Savings Bank In-Kind Contributors: One Nature LLC, Laura Kopczak, Pete Varner, Tory Ettlinger, John DeNicolo, CPA, Jim Peppler, Tory Ettlinger / Ettlinger Design, Cantines Island Cohousing Community, Greenway Environmental Services, Michael Nelson, TDC Auto Repair, David Radovanovic, Jansen Engineering, PLLC Foundation Support: The Catherine & George Puzak Charitable Fund, Catskill Watershed Corp., Ann & Abe Effron Fund of the Community Foundations of the Hudson Valley, Government Support: The County of Ulster’s Ulster County Cultural Services & Promotion Fund administrated by Arts Mid-Hudson, The Environmental Protection Fund administered by the NYS Department of Environmenal Conservation, and the New York State Council on the Arts, with the support of Governor Andrew Cuomo and the New York State Legislature. Individual Donors include: Michaela Graham, William Denehy, Barbara Brozik, John Wadden & Kristin Dean, Lynne Gilson & Joel Schuman, Anna Landewe, Susan Murphy & Peter Poccia, Larry Ulfik, Deborah & Ted Conathan, James Malchow, Abby Newton, David Wallick, Jolanda Jansen, Bonni Nechmides, John DeNicolo, Shabazz Jackson & Josephine Pagagni, Melissa Higgins, Virginia Dow, Beth Humphrey & Guy Reed, Deborah Conathan, Susan Murphy, Jane Oriel, Julian Lines, Judy & John Allen, Merle Cosgrove, Wendy Weinrich, Ernie Mortuzans & Jeanne Weiss, Jared Schmidt, Polly Howells, Laura Rock Kopczak, Nathaniel Williams, Niki Swarthout, Ellen Neilly, Susana Meyer, Suzanne Bennet, Susan Holland, Mary Ellen Wadden, Laurie Ross & Shelly Wyant. In-Kind Contributors: Anna Landewe Design , John DeNicolo, CPA, Vern Rist, Jim Peppler, Tory Ettlinger / Ettlinger Design, Cantines Island Cohousing Community, Greenway Environmental, Michael Nelson, TDC Auto Repair, David Radovanovic/WhatsTheBigIdea, One Nature LLC, Jansen Engineering, PLLC Foundation Support: Catskill Watershed Corp., Klock Kingston Foundation, Hudson River Improvement Fund, Ann & Abe Effron Fund of the Community Foundations of the Hudson Valley, Government Support: The County of Ulster’s Ulster County Cultural Services & Promotion Fund administrated by Arts Mid-Hudson, The Environmental Protection Fund administered by the NYS Department of Environmenal Conservation.,and the New York State Council on the Arts, with the support of Governor Andrew Cuomo and the New York State Legislature. Individual Donors include: Michaela Graham, Beth Humphrey & Guy Reed, Deborah Conathan, Susan Murphy, Jane Oriel, Bonni Nechimides, Julian Lines, Judy & John Allen, John Wadden & Kristin Dean, Abby Newton, Merle Cosgrove, Wendy Weinrich, Ernie Mortuzans, James Malchow, Joel Schuman & Lynne Gilson Business Support: John DeNicolo CPA, Sawyers Savings Bank, Stewart’s Shops,Hudson Valley Federal Credit Union, Central Hudson Foundation Support: Catskill Watershed Corp., Klock Kingston Foundation, Hudson River Improvement Fund, Health Research Inc., Community Foundation of the Hudson Valley Corporate Support: Price Chopper/Golub Foundation In-Kind Contributors: Anna Landewe, Jim Peppler, Tory Ettlinger / Ettlinger Design, Cantines Island Cohousing Community, Tania Barricklo, Michael Nelson, Government Support: The County of Ulster’s Ulster County Cultural Services & Promotion Fund administrated by Arts Mid-Hudson. And public funds from the New York State Council on the Arts, with the support of Governor Andrew Cuomo and the New York State Legislature. Individual Donors: Michaela Graham, Lynne Gilson, Joel Schuman, Abby Newton, Shabazz Jackson, Josephine Papagni, Laura Kopczak, Deborah Conathan, Jolanda Jansen, Bonni Nechemias, Nathaniel Williams, David Wallick, MaryEllen Wadden, Anna Landewe, Mikhail Horowitz & Carol Zaloom, In-Kind Contributors: Ettlinger / Ettlinger Design, Cantines Island Cohousing Community, Tania Barricklo. Michael Nelson Businesses & Community Organizations: Sawyers Savings Bank, Stewart’s Shops, Hudson Valley Federal Credit Union, Central Hudson Foundations: Catskill Watershed Corp., Klock Kingston Foundation, Hudson River Improvement Fund, Government Support: New York State Department of Health, And public funds from the New York State Council on the Arts, with the support of Governor Andrew Cuomo and the New York State Legislature. Individual Donors: Anna Berkheiser, Lynne Gilson, Joel Schuman, John Wadden, Michaela Graham, Shelley Wyant, David Wallick, Bonni Nechemias, Sandra Smiley, Niki Swarthout, Robin Goss, Jamey Wolff, Jean Whelan, Merle Cosgrave, Abby Newton, Kate Shuster, Lucinda Knaus, Carolyn Mello, Diane Dwyer, Catherine Puzak. In-Kind Contributors: Mark Bernard/Ember Engineering, Tory Ettlinger / Ettlinger Design, Cantines Island Cohousing Community, Anna Berkheiser Graphic Design, Bill Curtis/Curtronics, Carl Welden, Jolanda Jansen, Esq., Marie Daniels, Jean Whelan, Olga Micinska, Chris Wangro, Mid Hudson Drafting and Design, Greenway Environmental, Deborah Conathan. Businesses & Community Organizations: Sawyers Savings Bank, Stewart’s Shops, Hudson Valley Federal Credit Union, Macy’s, Saugerties Kiwanis Club, Michael Nelson Photography, Village of Saugerties, David Radovanovic, Sun Porch Baked Goods, ‘Cue , Slices Pizza, Lucky Chocolates Foundations: Catskill Watershed Corp., Hudson River Improvement Fund, Puffin Foundation, Klock Kingston Foundation, TD Charitable Foundation, Golub Foundation Government Support: New York State Department of Health, And public funds from the New York State Council on the Arts, with the support of Governor Andrew Cuomo and the New York State Legislature. Individual Donors: Patrick Landewe, Jolanda Jansen, Debi Conathan, Kaete Brittin Shaw, Lisa Abbatomarco, Michaela Graham In-Kind Contributors: Mark Bernard/Ember Engineering, Rae Stang/Lucky Chocolates, Cantines Island Cohousing Community, Anna Berkheiser Graphic Design, Bill Curtis/Curtronics, Carl Welden, Jolanda Jansen, Esq., Fiber Flame Studio, Marie Daniels, David Radovanovic of WhatstheBigIdea – Web Development and Design, Bob Lavaggi, Bob Lusk, Businesses & Community Organizations: Sawyer Savings Bank, Ulster Savings Bank, Macy’s, Saugerties Kiwanis Club Foundations: Catskill Watershed Corp., Hudson River Improvement Fund, Klock Kingston Foundation, TD Charitable Foundation Public Funding: Our 2013 season is made possible, in part, with public funds from the Ulster County Cultural Services Fund and by the New York State Council on the Arts with the support of Governor Andrew Cuomo and the New York State Legislature. Individual Donors: Lynne Gilson, Patrick Landewe, Stephen Dyott, Michaela Graham, Amy Scott, Anna Berkheiser, Janet Carter, Ernest Martuzans, Myrna Gail Sameth, Julian Lines, Tracy Leavitt, Roberta Sickler, David Wallick, Kim Estes Fradis, John Wadden, Jim Peppler, Anne Bailey, Wendy Weinburd, Katherine Hooper, Alex Kahn, Judy Grunberg, Harrison Barritt, Frank Oswald, Joel Schuman, Rosemary Rasmussen, Michelle Yost, Denise & Grace Woodin, Charlotte Fahn, Clay Hiles, Jean Whelan, Niki Swarthout, Cynthia Philips, Mary Ellen Mietus, Michael Doyle & Eleanor Johnson, John & Judy Allen In-kind Contributors: Bob Lavaggi, Sarah Underhill, Bob Blacker, David Radovanovic, Jolanda Jansen, Esq., Tory Ettlinger, Mark Bernard, Peter Poccia, Doug Elliot, Malcolm Cecil, Bart Friedman, Zack Jacobs, Beth Humphrey, Rae Stang, Jim Peppler, Roy Gumpel, Cantines Island Co-housing Community, Saugerties Village Trustees, & the Town of Saugerties, NY Area Businesses & Community Organizations: Saugerties Kiwanis Club, Advanced Radiant Design, Lanny Walter: Attorney-at-Law, Kit Evers of Our Book Shop, Ulster Federal Credit Union, Adams Fairacre Farms, Central Hudson Foundations: Hudson River Improvement Fund, Catskill Watershed Corporation, Robert Rauschenberg Foundation, Rex Foundation, Ulster Savings Charitable Foundation, Klock Foundation Public Funding: New York Council for the Humanities, NYS Environmental Protection Fund through the Hudson River Estuary Program of the NYS Dept. of Environmental Conservation, County of Ulster’s Ulster County Cultural Services & Promotion Fund administered by Dutchess County Arts Council, ~ And public funds from the NY State Council on the Arts, celebrating 50 years of building strong, creative communities in New York State’s 62 counties. Individual Donors: Joan Authenrieth,Valerie Penman, Michela Graham,Steven Dyott, Debi Conathan,Eric Friedman, Judy Hoyt,Bobbie Pollack, Rosemary Rasmussen, Smiths Hardware, Rebecca Barlow,Michael Sklaroff, Becky High, John Wadden,Michael McGuigan,Marita Lopez,Lara Giardano, Bonnie Nechemias, Matt Burd, Donna Stefans, Greg Swanzey. In-Kind Contributors: Mark Bernard/Ember Engineering, Rae Stang of Lucky Chocolates, Cantines Island Cohousing Community, Bailey Pottery, Zack Jacobs, Pietro Poccia, Tory Ettlinger Design Services, Jim Peppler, Village of Saugerties. Businesses Contributions: Macy’s Foundation,Ulster Savings Charitable Foundation, Woodstock Chimes Fund, Stewarts Shops, Price Chopper / Golub Foundation. Foundations: Catskill Watershed Corp., Robert Chapman Fund, Community Foundations of the Hudson Valley. 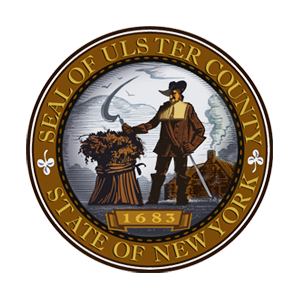 Public Funding: Ulster County Cultural Services Fund, NY State Council on the Arts, NYS Dept. of Environmental Conservation, National Endowment for the Arts, Hudson River Valley National Heritage. Our Sponsors -Below is a list of our principal sponsors whose generosity helps keep us raring and daring to go. Thank you! New York State Council on the Arts Multi-year general operating support from NYSCA’s Theatre Program, and project support from the Arts Education Program. Ulster County, New York The renovation of our website is made possible in part through support from the County of Ulster’s Ulster County Cultural Services & Promotion Fund administrated by Dutchess County Arts Council. TD Charitable Foundation For support of our Arts-in-Education Program. Jim Henson Foundation Production support for LA COSECHA and MUTUAL STRANGERS. Community Foundations of the Hudson Valley For purchase of sound equipment. Woodstock Chimes Fund In support of free public performances in the Hudson Valley. Stewart’s Shop In support of free public performances in the Hudson Valley. Price Chopper/ Golub Foundation In support of free public performances in the Hudson Valley. The Hudson River Improvement Fund For ongoing support of programs and equipment. Hudson Valley Federal Credit Union For underwriting support of free public performances. Catskill Watershed Corp. In support of CITY THAT DRINK THE MOUNTAIN SKY, and other projects involving the Catskill region. Sawyer Savings Bank For their generous ongoing contribution to our programs.